The theme for the month of March is "Destination Beauty." The bag itself was supposed to be inspired by a map of San Francisco by artist Klari Reis. I'm not a huge fan of this bag. The material of the bag is nice and sturdy, but I'm not a fan of the pattern itself. I also prefer the bags that have a zipper on the top, instead of the front of the bag. I'm sure I can find a use for this bag, and if not, maybe I know someone that would like it. Make an impact with Marvelous Moxie™ Lipstick. Creamy, super-saturated, ultra-pigmented color glides on like butter for full coverage in a rich satin finish. Lips look fuller and more voluptuous. An infusion of minerals revitalizes lips for a healthy-looking pout, while a moisture-loaded hydrating complex helps to nourish and condition with Abyssinian Oil and Omega Fatty Acids for supple, baby-soft smoothness. All the while, an encapsulated vitamin A, C and E complex helps to deliver antioxidant defence, so you’re ready for anything—and everything. ipsy subscribers who receive this product will receive Get Ready. Finally! A colour I knew I would like to begin with! I love this lipstick. It goes on so smooth, and it's not sticky. 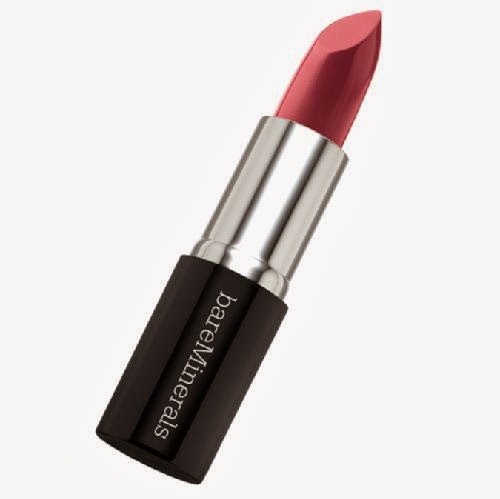 No bad scent with this lip product, and the colour is great. Its very natural, not bright, and could suit a lot of different people. I originally wanted the lip gloss instead of the lip stick, but I'm glad with what I was sent! I love bare minerals products and I really hope we see more of them in our ipsy bags! Everyone this month was sent either a lipstick or a lip gloss product from bareMinerals. We were sent a sample size of this product, the full size retails for $18.00! ipsy subscribers who receive this product will receive No Tan Lines Allowed, Amazonian Babes, Segredos De Giselle, Barefoot In The Sand, Meet Me At The Copa, Moonlit Skinny Dip, Voodoo Love Spells, Cabana Boy, Bikini Bottom, or The Brazilian. 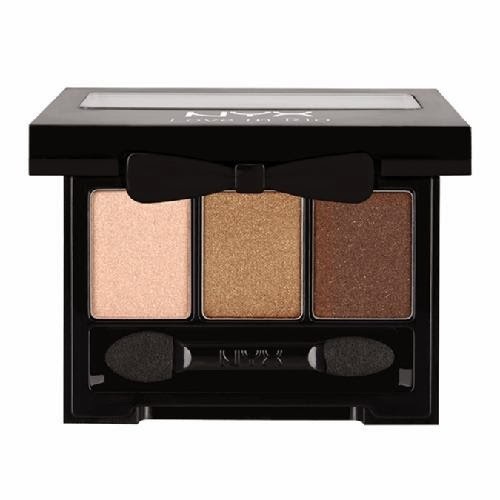 This month all members were sent an eye shadow product. It was either this NYX palette or a palette from Be a Bombshell. I saw the colours in the BAB palette, and although I thought they were beautiful, I'm glad they sent me the more tame palette from NYX. I knew they would not match well with my skin tone, or eye colour, and the neutral palette from NYX would match me greatly. The NYX palette is the perfect size, and its very cute. The little bow clip just is adorable! The colours I was sent work with my skin tone, and they come out pigmented. They don't feel cheap when applying, and I would say the quality is much better than the Jesse's Girl shadows I was sent last month. I would definitely purchase this palette again! This was sent as a full size sample, which retails for $6.00 each! ipsy subscribers who receive this product will receive Indigo. As I've said in previous posts, I only use black liner when I decide to use one. So when I saw this in my glam room, I was VERY disappointed. Not many people can pull off blue liner, or blue eyeshadow, so imagine what it's like to find out that the colour is INDIGO blue on top of it. Looking up the product, a lot of people seemed to like the beauty line, so I decided that when my bag got here, I would try the liner out anyway. The liner itself is not a pencil, its a felt tip liner with liquid inside. The blue is bright, and the pen is a normal sized liner. I lined the top of one of my eyelids, only to find that the liner had dried a little, so it made lining my second lid difficult. 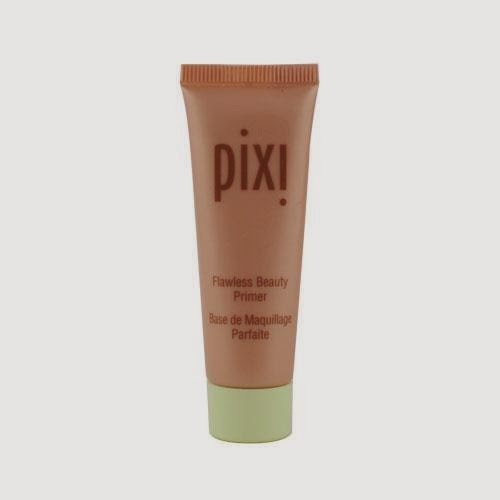 I've used the product a few times, making a very thin line on my lids. And while its not something I'm not a huge fan of, I thought I would continue to try this. We were sent a full size liner as a sample, which retails for $24.00! I've received many samples of primers throughout the years, and I've never really been a big fan of them. I find they don't make a difference on my skin when I use them with foundations, so I've just skipped using them whenever I decide to wear a full face of makeup. I wasn't too happy to see this in my bag, but I thought it doesn't hurt to sample it, maybe I will find something I really like and will use it, even as a BB cream. The formulation is smooth, but on the thicker side. It has a lot of shimmer, which I wouldn't mind, but the colour itself is way too dark for me. Maybe if I get a tan in the summer then I could try this out, but in the meantime, the colour just doesn't work on my pale skin. I would say the bag for March was 50/50 for me. I loved the lipstick and eyeshadow, but I really wasn't a fan of the liner, and couldn't use the primer. Hopefully April will be a better month, and the countdown continues until we get some sneak peeks!